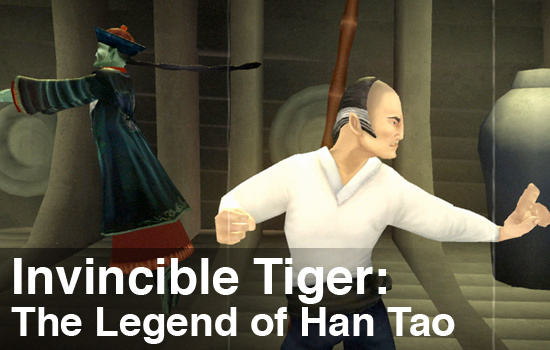 The first time I saw screens of Invincible Tiger: The Legend of Han Tao I got vibes of the classic NES title Kung Fu, an old school beat em up with plenty of kung-fu action. While Invincible Tiger does capture that vibe, it adds some shiny technology and even some unique gameplay elements to make it feel new. If you read our interview with Blitz Games you know Invincible Tiger takes a lot of inspiration from classic kung-fu movies, something the game even uses in its art style, giving it a classic 70's look. If Big Trouble in Little China is one of your inspirations, that's gotta be something, right? While on the surface gameplay seems rather simple in Invincible Tiger, there's actually a fairly in depth fighting system going on. The X button is used for punches while the Y button is used for kicks. Various combos can be created by mixing and matching between the two. These attacks build up the left side of your Yin-Yang meter. On the flip side enemies can attack you high (yellow) and low (blue). Pressing the appropriate direction on the right analog stick dodges them and it builds up the right side of your Yin-Yang meter. The closer the meter is to meeting in the middle, the higher your score multiplier is. You can also utilize the meter to unleash a short series of quick attacks, or you can meditate to heal yourself. Finally rounding out the controls are the B button to interact with the environment and the A button to jump and move in and out of the environment like trees, ledges, and more. The biggest problem we had with the controls was the fact the dodging mechanic was on the right analog stick. The simple action of moving to the stick to dodge seemed to take too long, and I think it would have been better to use a modifier/left stick mechanic instead. There's a heavy emphasis on dodging in the game and the current implementation just doesn't feel ideal. On the flip side you can roll with the analog stick as well, which is useful for getting out of trouble and breaking up larger groups into more manageable battles. Broken down into a handful of stages that each contain a bunch of chapters, you'll work your way through the game's story as Han Tao works to regain his former glory. The entire game can be played in co-op mode, each one of you taking control of a Han Tao! In co-op both players share a Yin-Yang meter as well as the number of lives, this means teamwork is crucial to completing the game! 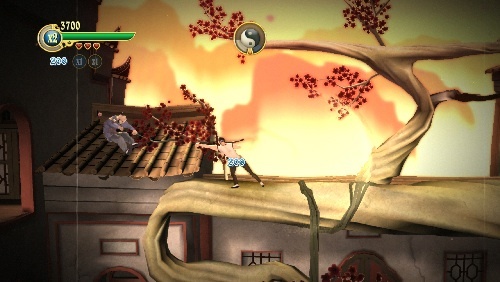 There's a solid variety of enemies from grunts, ninjas, and bigger characters. Each of them have their own weaknesses and moves that make them unique, though once you figure out their patterns they become relatively easy. The boss battles follow a similar patterns and once you get that down most shouldn't give you much trouble - especially in co-op mode. Page created in 0.2243 seconds.